Running a business is demanding and, even with the best employees, you can't do it all. Seasonal workload shifts, new clients or projects, and unexpected problems can overtax your resources and place you at risk of not meeting expectations. Rather than miss deadlines or presenting less-than-perfect work, outsource specific tasks to keep your customers and clients happy. When using outsourcing to address emergency situations, it is important to have a list of pre-vetted companies that you can trust to do the required task. Knowing who you will use and what that resource will cost regarding money, time and supervision will help you respond to your challenges rather than react, which will increase productivity.
. The independent contractors you use will bring their expertise to the mix so take advantage of that resource. For many of your needs, you can access these people through the internet rather than scheduling face-to-face meetings which saves you time and money. By maintaining a pool of contractors, you are assured that someone will be available to meet your deadline and produce the quality work you need. Writing and Graphics. There are many great online resources for these services such as Writers Per Hour and WriterAccess. When selecting an online writing resource, read reviews and ask for examples to assure they can provide the content you need. SEO Content. If you're developing online content, whether it's a website, blog or article, outsourcing SEO content can be a great option. You can find many local SEO experts through an online search, and there are national companies such as Outspoken Media that can address the needs of your clients no matter where they are located. Marketing Support. When your needs combine marketing and SEO content, there are many resources available including Distilled, Portent, and 97th Floor. Expertise. If a project requires expertise that is atypical for your company, outsourcing that portion of the project allows you to accept the work and provide quality content. That can cover many topics and you will need to find the right resource for your needs. Recognizing Barriers. The most affordable outsourcing option may be located overseas, and you must take into account time differences and cultural expectations, such as holidays, that can create frustrations if not addressed. Establishing Goals and Metrics. Set specific expectations, including content, time frame and delivery method, and include what measure you will use to determine compliance. These guidelines will help your independent contractor support your deadlines and client demands. Managing the Resource. Select someone working on the project to be responsible for resource communication and management. Giving the contractor a specific point of content will allow for smoother exchange of information and identification of problems. Set expectations and provide clear communication so the resource can help you meet your deadline rather than becoming one more problem to solve.
. Security issues are magnified if you select an overseas company to outsource a task or project component. Be vigilant and have a strong contract that has specific sections of information/data ownership and protections. 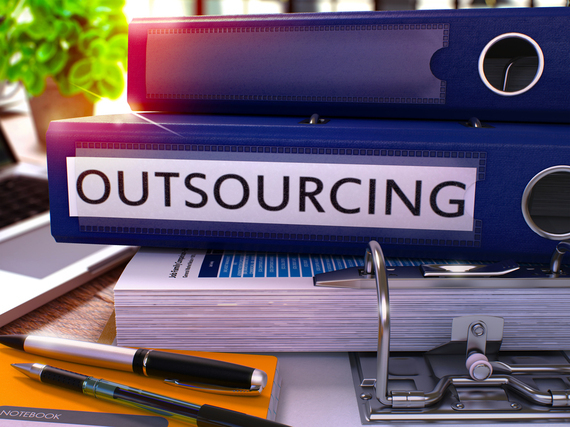 Outsourcing project components is a great way to address business crises and meet client deadlines but have a pre-vetted list of resources to make the process effective.